lower intertidal, Ría de A Coruña, Galicia, Spain, 2016. Ignacio Bárbara. © Ignacio Bárbara (barbara@udc.es). Fucus serratus, RÃ­a de Ferrol, Galicia, Spain, 2013, Ignacio BÃ¡rbara. Ignacio Bárbara. © Ignacio Bárbara (barbara@udc.es). Fucus serratus, RÃ­a de A CoruÃ±a, Galicia, Spain, 2013, Ignacio BÃ¡rbara" . Ignacio Bárbara. © Ignacio Bárbara (barbara@udc.es). Fucus guiryi, North of Portugal, 2013, Ignacio BÃ¡rbara. Ignacio Bárbara. © Ignacio Bárbara (barbara@udc.es). Ría de A Coruña, Galicia, Spain, 2012. 01 Jan 0001. Ignacio Bárbara. © Ignacio Bárbara (barbara@udc.es). receptacles; Ría de A Coruña, Galicia, Spain, 2012. 01 Jan 0001. Ignacio Bárbara. © Ignacio Bárbara (barbara@udc.es). Finavarra, Co. Clare, Ireland. 17 May 2011. M.D. Guiry. © M.D. Guiry (mike.guiry@nuigalway.ie). Fucus serratus Cuan, Ventry Harbour, Co. Kerry, Ireland. 11 Aug 2010. M.D. Guiry. © Michael Guiry (mike.guiry@nuigalway.ie). English: Serrated wrack (Anonymous 1978), Saw Wrack, Toothed Wrack (Anon. 2000). Gaeilge: Míoránach (Anonymous 1978), Dúlamán, Múrach dhubh (Anon. 2000). Swedish: Sågtång (Tolstoy & Österlund 2003). Type locality: "Oceano" (Silva, Basson & Moe 1996: 902). Type: LINN? Arctic: Barents Sea (Malavenda 2018), Svalbard (Spitsbergen) (Gulliksen et al. 1999), White Sea (Smirnova & Mikhailova 2013, Garbary & Tarakhovskaya 2013). Europe: Atlantic France (Burel, Le Duff & Ar Gall 2019), Baltic Sea (Nielsen et al. 1995, Kontula & Fürhapter 2012, Schagerström & Kautsky 2016), Britain (Newton 1931, Hardy & Guiry 2003, Holmes and Brodie 2005, Pearson et al 2006, Kientz et al. 2011, Marconi et al. 2011, Flewelling et al. 2013, Brodie et al. 2016, Bunker et al. 2017), Channel Islands (Lyle 1920, Dixon 1961, Chapman & Chapman 1980), Denmark (Larsen & Sand-Jensen 2006, Coyer et al 2006, Wernberg 2006), Faroe Islands (Nielsen & Gunnarsson 2001 , Coyer et al 2006), France (Coppejans & Kling 1995, Dizerbo & Herpe 2007, Anon. 2017), France (Breizh) (Feldmann 1954, Loiseaux-de Goër & Noailles 2008), Germany (Ludwig & Schnittler 1996), Helgoland (Bartsch & Kuhlenkamp 2000, Lam & Harder 2007), Ireland (Adams 1907, Adams 1908, Cotton 1912, Cotton 1913, Newton 1931, Cullinane 1969, Cullinane 1971, Guiry 1978, De Valéra et al. 1979, Morton 1994, Guiry 2012, Bunker et al. 2017), Netherlands (Stegenga & Mol 1983, Stegenga et al. 1997), Norway (Jaasund 1965, Rueness 1997, Brattegard & Holte 2001, Steen 2003, Coyer et al 2006, Armitage et al. 2014), Portugal (De Mesquita Rodrigues 1963, Ardré 1970, Araújo et al. 2006, Araújo et al. 2009), Scandinavia (Athanasiadis 1996, Karlason et al. 2018), Spain (Miranda 1931, Miranda 1943, Anadón 1983, Granja, Cremades & Barbara 1992, Barbara, Cremades & López Rodriguez 1992, Bárbara, Cremades & Pérez-Cirera 1995, Bárbara & Cremades 1996, Veiga Villar 1999, Peña & Bárbara 2002, Bárbara et al. 2005, Lobón et al. 2008, Astudillo & Viejo 2009, Cires Rodriguez & Cuesta Moliner 2010), Spain (incl. Canary Is.) (Gallardo et al. 2016), Spitsbergen (Vinogradova 1995), Sweden (Kylin 1907, Kylin 1947, Tolstoy & Österlund 2003). Atlantic Islands: Canary Islands (John et al. 2004 ), Iceland (Coyer et al 2006 ). North America: Maritime Provinces (Taylor 1957 ). Europe: Britain (Newton 1931), Ireland (Cotton 1912). Brawley, S.H., Coyer, J.A., Blakeslee, A.M., Hoarau G., Johnson, L.E., Byers, J.E., Stam, W.T., & Olsen J.L. (2009). Historical invasions of the intertidal zone of Atlantic North America associated with distinctive patterns of trade and emigration. Proceedings of the National Academy of Sciences of the United States of America 106: 8239-8244. Mathieson, A.C., Pederson, J.R., Neefus, C.D., Dawes, C.J. & Bray, T.L. (2008). Multiple assessments of introduced seaweeds in the Northwest Atlantic. – ICES Journal of Marine Science, 65: 730–741.. ICES Journal of Marine Science 65: 730-741, 5 figs. Accesses: This record has been accessed by users 44360 times since it was created. Altamirano, M., Flores-Moya, A., Külenkamp, R. & Figueroa, F.L. (2003). Stage dependent sensitivity to ultraviolet radiation on zygotes of the brown alga Fucus serratus. Zygote 11: 101-106. Armitage, C.S., Sjotun, K. & Jensen, K,H. (2014). Correlative evidence for competition between Fucus serratus and the introduced chlorophyte Codium fragile subsp. fragilie on the southwest coast of Norway. Botanica Marina 57(2): 85-97. Arrontes, J. (1993). Nature of the distributional boundary of Fucus serratus on the north shore of Spain. Marine Ecology Progress Series 93: 183-193. Arrontes, J. (2002). 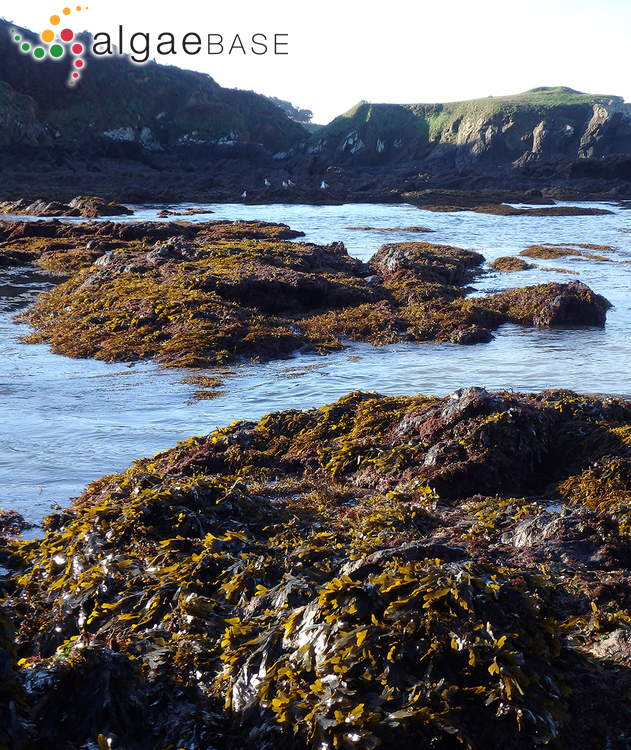 Mechanisms of range expansion in the intertidal brown alga Fucus serratus in northern Spain. Marine Biology 141: 1059-1067. Astudillo, M.C. & Viejo, R.M. (2009). Recent changes in the distribution of Fucus serratus: effects on assemblages on rocky coast in the northern Spain. Algas, Bol. Soc. Esp. Ficología 42: 14. Berkaloff, C. & Rousseau, B. (1979). Ultrastructure of male gametogenesis in Fucus serratus (Phaeophyceae). Journal of Phycology 15: 163-173, 29 figs. Berkaloff, C., Duval, J.C., Hauswirth, N. & Rousseau, B. (1983). Freeze fracture study of thylakoids of Fucus serratus. Journal of Phycology 19: 96-100, 4 figs. Bird, N.L., Chen, L.C.-M. & McLachlan, J. (1979). Effects of temperature, light and salinity on growth in culture of Chondrus crispus, Furcellaria lumbricalis, Gracilaria tikvahiae (Gigartinales, Rhodophyta) and Fucus serratus (Fucales, Phaeophyta). Botanica Marina 22: 521-527. Boaden, P.J.S., O'Connor, R.J. & Seed, R. (1975). The composition and zonation of a Fucus serratus community in Strangford Lough, Co. Down. Journal of Experimental Marine Biology and Ecology 17: 111-136. Bolwell, G.P., Callow, J.A., Callow, M.E. & Evans, L.V. (1979). Fertilization in brown algae. II. Evidence for lectin-sensitive complementary receptors involved in gamete recognition in Fucus serratus. J. Cell Sci. 36: 19-30. Brenchley, J.L., Raven, J.A. & Johnston, A.M. (1998). 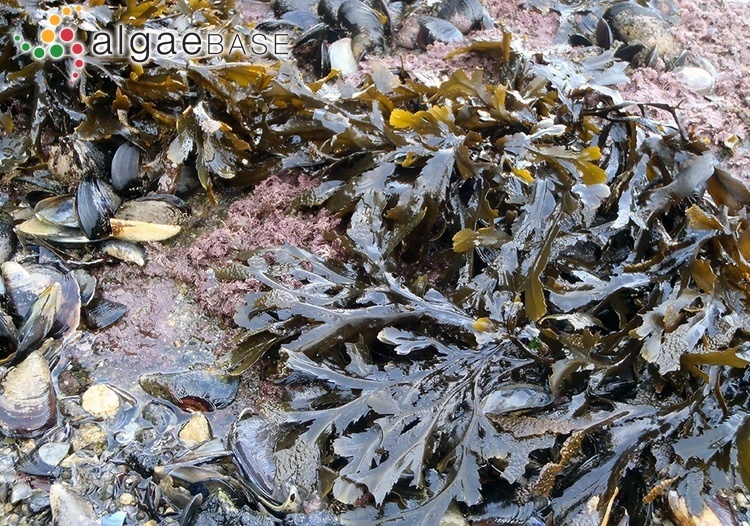 Carbon and nitrogen allocation patterns in two intertidal fucoids: Fucus serratus and Humanthalia elongata (Phaeophyta). European Journal of Phycology 33: 307-313, 5 figs. Callow, J. A., Bolwell, G. P., Evans, L. V. & Callow, M. E. (1981). Isolation & preliminary characterization of receptors involved in egg-sperm recognition in Fucus serratus. Proceedings of the International Seaweed Symposium 10: 385-390. Caron, L., Dubacq, J.P., Berkaloff, C. & Jupin, H. (1985). Subchloroplast fractions from the brown alga Fucus serratus: phophatidylglycerol contents. Plant Cell Physiology 26: 131-139. Chapman, A.S. & Fletcher, R.L. (2002). Differential effects of sediments on survival and growth of Fucus serratus embryos (Fucales, Phaeophyceae). Journal of Phycology 38: 894-903. Coyer, J.A., Hoarou, G., Skage, M., Stam, W.T. & Olsen, J.L. (2006). Origin of Fucus serratus (Heterokontophyta: Fucaceae) populations in Iceland and the Faroes: a microsatellite-based assessment. European Journal of Phycology 41: 235-246. Creed, J.C., Norton, T.A. & Harding, S.P. (1996). The development of size structure in a young Fucus serratus population. European Journal of Phycology 31: 203-209, 4 figs, 4 tables. Diouris, M. (1989). Long-distance transport pf 14C-labelled assimilates in the Fucales: nature of translocated substances in Fucus serratus. Phycologia 28: 504-511. Edelstein, T., Greenwell, M., Bird, C.J. & McLachlan, J. (1971). Investigations of the marine algae of Nova Scotia. X. Distribution of Fucus serratus L. and some other species of Fucus in the Maritime Provinces. Proc. N. S. Inst. Sci. 27: 33-42. Edelstein, T., Greenwell, M., Bird, C.J. & McLachlan, J. (1972). Investigations of the marine algae of Nova Scotia. X. Distribution of Fucus serratus L. and some other species of Fucus in the maritime provinces.. Proc. N.S.Inst. Sc. 27: 33-42. Fredriksen, S. & Christie, H. (2003). 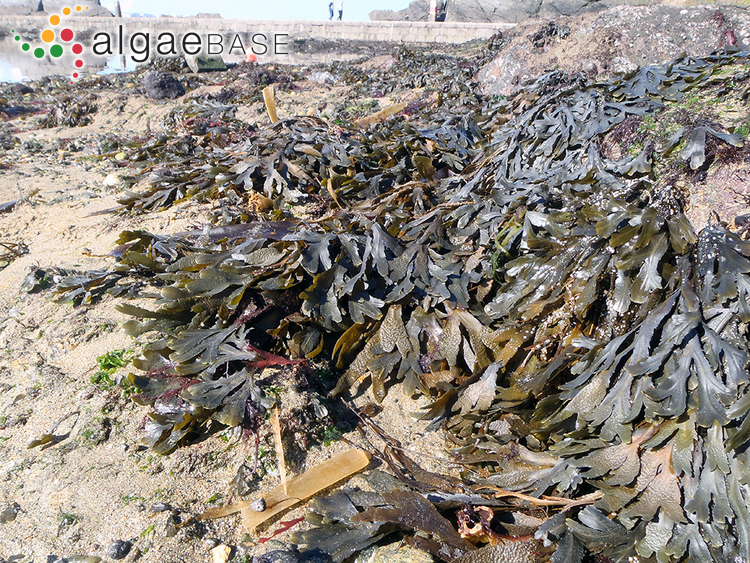 Zostera marina (Angiospermae) and Fucus serratus (Phaeophyceae) as habitat for flora and fauna - seasonal and local variation . Proceedings of the International Seaweed Symposium 17: 357-364. Green, J.R., Stafford, C.J., Wright, P.J. & Callow, J.A. (1992). Analysis of Fucus serratus gamete surfaces and vagetative tissue using monoclonal antibodies. British Phycological Journal 27: 90. Haglund, K., Ramazanov, Z., Mtolera, M. & Pedersén, M. (1992). Role of external carbonic anhydrase in light dependant ankalisation by Fucus serratus L. and Laminaria saccharina (L.) Lamour. (Phaeophyta). Planta 188: 1-6. Hoarau, G., Coyer, J.A., Veldsink, J.H., Stam, W.T. & Olsen, J.L. (2007). Glacial refugia and recolonization pathways in the brown seaweed Fucus serratus. Molecular Ecology 16: 3606-3616. Huppertz, K., Hanelt, D. & Nultsch, W. (1990). Photoinhibition of photosynthesis in the marine brown alga Fucus serratus as studied in field experiments. Marine Ecology Progress Series 66: 175-182. Hurd, C.L. & Dring, M.J. (1988). Phosphate uptake by Fucus spiralis and Fucus serratus. British Phycological Journal 23: 290. Isaeus, M., Malm, T., Persson, S. & Svensson, A. (2004). 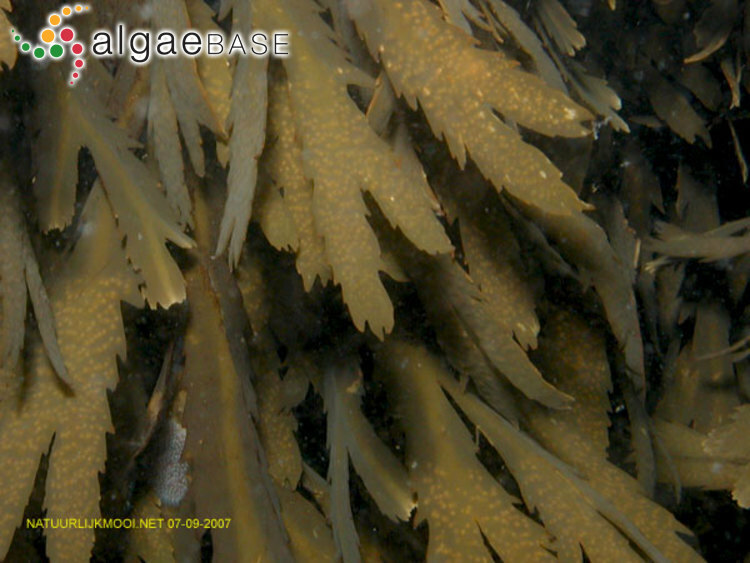 Effects of filamentous algae and sediment on recruitment and survival of Fucus serratus (Phaeophyceae) juveniles in the eutrophic Baltic sea. European Journal of Phycology 39: 301-308. Jensen, A. (1956). 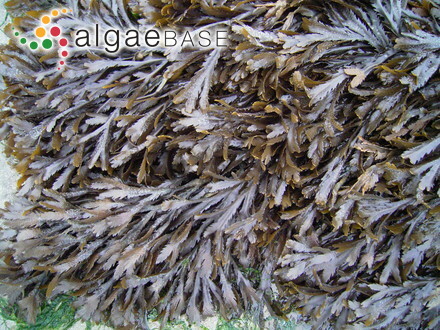 Preliminary investigations of the carbohydrates of Laminaria digitata and Fucus serratus. Reports of the Norwegian Institute of Seaweed Research No. 10: . Jensen, A. (1964). Ascorbic acid in Ascophyllum nodosum, Fucus serratus and Fucus vesiculosus. Proceedings of the International Seaweed Symposium 4: 319-325. Jensen, A. (1969). Seasonal variations in the content of individual tocopherols in Ascophyllum nodosum, Pelvetia canaliculata and Fucus serratus (Phaeophyceae). Proceedings of the International Seaweed Symposium 6: 493-500. Johnston, A.M. & Raven, J.A. (1990). Effects of culture in high CO2 on the photosynthetic physiology of Fucus serratus. British Phycological Journal 25: 75-82, 2 figs, 1 table. Keen, J.N. & Evans, L.V. (1986). Partial amino-acid sequence of the small subunit of Rubisco from the brown alga Fucus serratus. British Phycological Journal 21: 331-332. Kim, M.-K. & Thomas, J.-C. (1997). Growth of phaeophyte (Fucus serratus) in culture and changes of the amounts of triacylglycerols and fatty acids. Algae 11(4): 11-16, 4 figs, 1 table. Knight, M. & Parke, M. (1950). 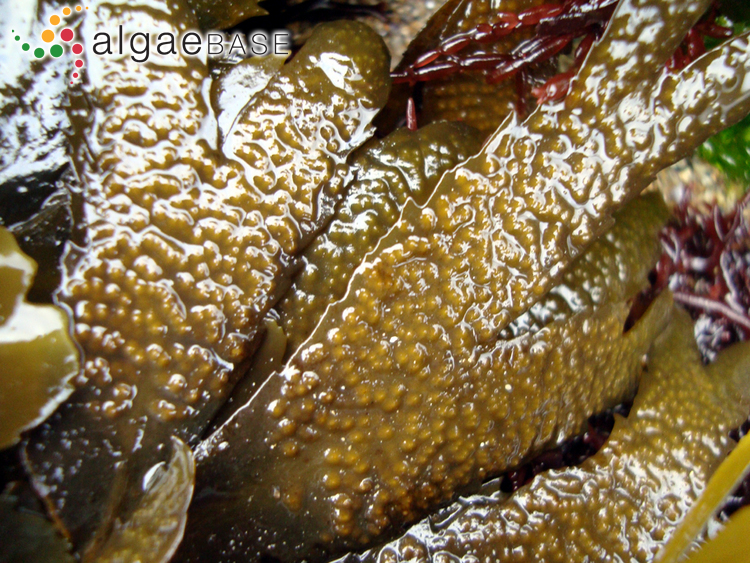 A biological study of Fucus vesiculosus L. and F. serratus L.. Journal of the Marine Biological Association of the United Kingdom 26: 439-514. Kremer, B.P. (1975). 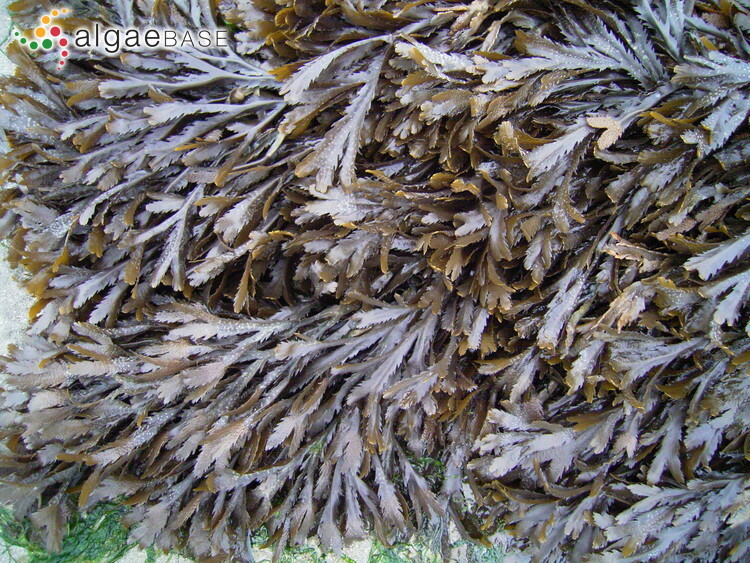 Mannitmetabolismus in der marinen braunalge Fucus serratus. Zeit. Pflanzenphysiol. 74: 255-263. Kremer, B.P. (1975). Physiological and chemical characteristics of different thallus regions of Fucus serratus. Helgoländer Wissenschaftliche Meeresuntersuchungen 27: 115-127. Liem, P.Q. & Laur, M.H. (1976). Teneur, composition et répartition cytologique des lipides polaires soufrés et phosphorés de Pelvetia canaliculata (L.), Decn. 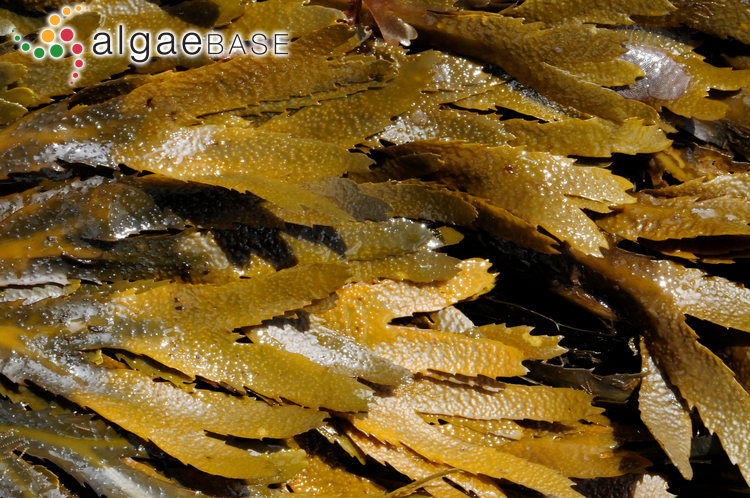 et Thur., Fucus vesiculosis (L.) et Fucus serratus (L.). Phycologia 15: 367-376, 3 tables. Malm, T. & Kautsky, L. (2003). 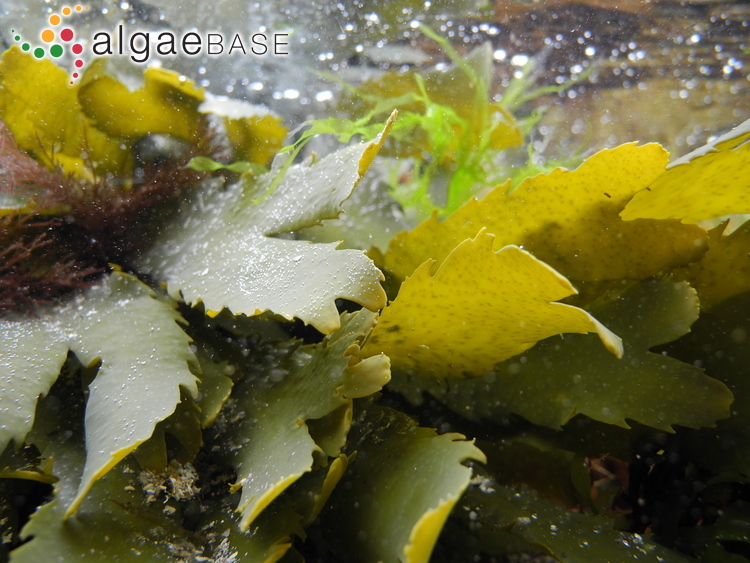 Differences in life-history characteristics are consistent with the vertical distribution pattern of Fucus serratus and Fucus vesiculosus (Fucales, Phaeophyceae) in the Central Baltic Sea. Journal of Phycology 39: 880-887. Malm, T., Kautsky, L. & Engkvist, R. (2001). Reproduction, recruitment and geographical distribution of Fucus serratus L. in the Baltic Sea. Botanica Marina 44: 101-108. Margalet, J.L., Almaraz, T., Navarro, M.J. & Pérez-Ruzafa, I.M. (1993). Mapas de distribución de algas marinas de la Península Ibérica. III. Fucus ceranoides L., F. serratus L., F. spiralis L. y F. vesiculosus L. (Fucales, Fucophyceae). Botanica Complutensis 18: 267-290. Marsden, W.J.N., Evans, L.V., Callow, J.A. & Keen, J.N. (1984). A preliminary electrophoretic comparison of Fucus serratus and Fucus vesiculosus. Botanica Marina 27: 79-83. Masters, A.K., Sheeran, E., Shirras, A.D., Brownlee, C. & Hetherinton, A.M. (1991). In vitro translation of mRNA from the eggs of Fucus serratus. British Phycological Journal 26: 92. McLachlan, J. & Bidwell, R.G.S. (1978). Photosynthesis of eggs, sperm, zygotes, and embryos of Fucus serratus. Canadian Journal of Botany 56: 371-373. Müller, D.G. & Seferiadis, K. (1977). Specificity of sexual chemotaxis in Fucus serratus and Fucus vesiculosus (Phaeophyceae). Zeit. Pflazenphysiol. 84: 85-94. Pazó, J.P. & Niell, F.X. (1977). Distribución y características de Fucus serratus L. en las Rías Bajas Gallegas. Inv Pesq 41: 455-472. Penot, M. & Videau, C. (1975). Adsorption du 86Rb et du 99Mo par deux algues marines: Le Laminaria digitata et le Fucus serratus. Zeits. Pflanzenphysiol. 76: 285-293. Sauvageau, C. (1909). 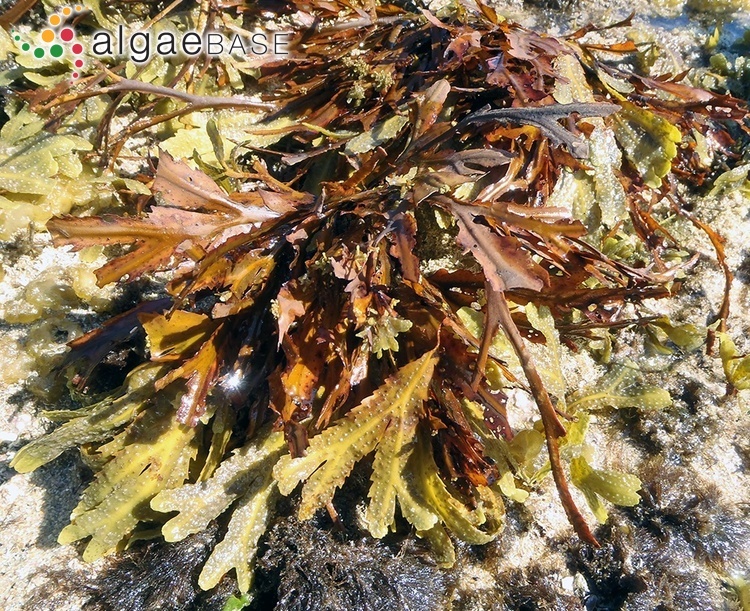 Sur l'hybride des Fucus vesiculosus et F. serratus. Compte Rendu Hebdomadaire des Séances de l'Académie des Sciences, Paris 62: 833-834. Stafford, C.J., Callow, J.A. & Green, J.R. (1992). Isolation and characterization of plasma membranes from Fucus serratus eggs (Short Note). British Phycological Journal 27: 429-434, 1 fig, 2 tables. Stafford, C.J., Green, J.R. & Callow, J.A. (1991). Characterization of plasma membranes from Fucus serratus eggs. British Phycological Journal 26: 97. Steen, H. & Scrosati, R. (2004). 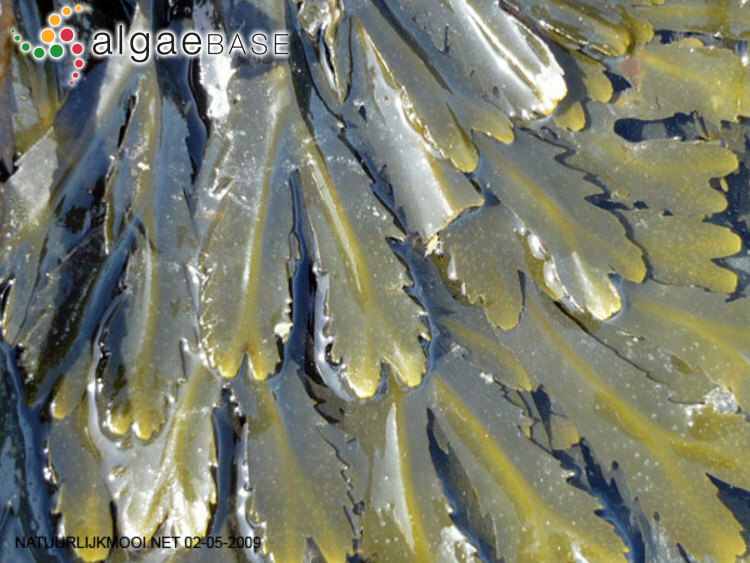 Intraspecific competition in Fucus serratus and F. evanescens (Phaeophyceae, Fucales) germlings: effects of settlement density, nutrient concentration, and temperature. Marine Biology, Berlin 144: 61-70. Steen, H. (2003). Apical hair formation and growth of Fucus evanescens and F. serratus (Phaeophyceae) germlings under various nutrient and temperature regimes. Phycologia 42: 26-30. Taylor, A.R. & Brownlee, C. (1992). Plasmalemma currents in unfertilized and fertilized eggs of Fucus serratus. British Phycological Journal 27: 101. Thélin, I. (1981). Effets, en culture, de deux pétroles bruts et d'un dispersant pétrolier sur les zygotes et les plantules de Fucus serratus Linnaeus (Fucales, Phaeophyceae).. Botanica Marina 24: 515-519. Tremblin, G., Jolivet, P. & Coudret, A. (1993). Light quality effects on subsequent dark 14 CO2-fixation in Fucus serratus. Proceedings of the International Seaweed Symposium 14: 471-475. Willenbrink, J. & Kremer, B.P. (1973). 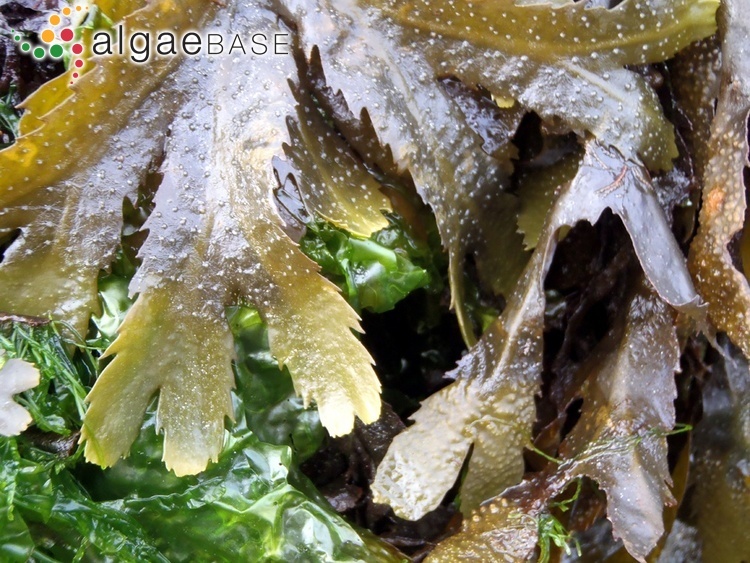 Localization of mannitol biosynthesis in the marine brown alga Fucus serratus. Planta (Berl) 113: 173-178. Williams, G. A. (1996). Seasonal variation in a low shore Fucus serratus (Fucales, Phaeophyta) population and its epiphytic fauna. Proceedings of the International Seaweed Symposium 15: 191-197.